To be completely clear, “pastry beer” and “pastry stout” aren’t beer styles – you will not find them in the BJCP Guidelines. They are terms the craft beer community has formulated to refer to beers that resemble our favorite sweets and pastries. Sweet stout would be the closest BJCP style. Though pastry stouts do mimic sweets, they do not or rather do not have to contain pastry ingredients to qualify. The best commercial examples come from breweries that are light-handed with the flavorful adjuncts they use to prevent the sugar bomb flavor that occurs when this beer type is taken too literally. Ideally, there is only a suggestion of flavor and the drinker has an experience stringing together the notes and finding the special flavor. The sign of a truly expert pastry stout is that one that still resembles the classic stout style it was made after even with the added sugar content and flavorings. The goal of smart homebrewing is to keep some semblance of balance intact while tuning different flavors and aromas up. Beware the pastry stout that tastes like a busy, overwhelming home candle has overrun your palate. The intention is to brew a stout that provides a dessert-like experience. Sip on a creamy German Chocolate Cake beer after your meal instead of treating yourself to a slice. Make no mistake, we are all about stouts loaded with cocoa nibs, vanilla, coconut, chiles, cherries, berries, and all sorts of spices – we just advise you to not let your sweet tooth lead you to overwhelm your batch. We add Poblano or Ancho chile, cinnamon, vanilla bean, and cacao nibs to this one. We add red tart cherries, milk sugar, and cacao nibs to this one. We add fresh oranges and unsweetened chocolate to this one. There are frightfully smug blogs out there claiming that pastry stouts are sending the whole craft beer industry back in terms of progress because they aren’t leading craft beer drinkers forward with a more discerning palate, blah, blah.  Mr. Beer is all about giving brewers access to the ingredients and ideas that excite them, and the flavors they crave. Please brew however you like and make all the pastry-inspired beer you want. We won’t judge. In fact, we encourage you to deconstruct one of your favorite sweets to bring to life with your next brew.